My contract with my employer ended yesterday. I liked my employer so I am rather sad. But part of me is doing the happy dance. Not too gleefully, mind you, lest my former employer think I am ungrateful. It has been quite the ride! I was hired to help with a backlog for three months. Three years later, there is finally not enough work for me. I like to think of it this way: I did my job. Really well. So well that I don’t need to do it anymore! How often does that happen in one’s career? I am grateful for the experiences I’ve had these past three years. I have met hundreds of wonderful people, many of whom I’m collecting as lifers, you know, those people you met at work that end up being lifelong friends. Modern technology will allow me to keep in touch with a number of other colleagues. We never know when we can help each other with an introduction or a referral. The bridges I built in the last three years are the most important things I’m taking with me. They are far too important to burn. I am grateful that my employer provided opportunities for me to learn and grow, not the least of which is Toastmasters. Toastmasters had a profound impact on me. I took the educational program seriously and have developed many great skills, skills that I will use to change my life. I also now have a community of Toastmasters to take with me on my life journey. My employer provided me with a safe working environment in a beautiful building with modern equipment so I could do my work. I felt privileged to work for a professional organization that is well-respected in its industry. Selling the benefits of working there to my recruits was never difficult. I am grateful for all the laughs. Fun is just too important to be excluded from the office. Fun was encouraged. They even had people whose job it was to organize the fun stuff! That’s all part of the happy dance. The other part is that closed doors always mean other doors will open. 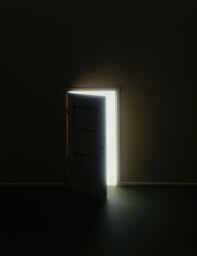 Open doors mean new opportunities, new experiences, and more new wonderful people to meet. And I am ready for those opportunities. I have often coached my staff and colleagues that they should view their jobs as a springboard to the next job. Their duty is to learn as much as possible so they are ready when the inevitable kick in the pants comes along. This is my kick in the pants. I planned to change careers and I groomed myself for three years. But I got comfortable and didn’t go. So my plans and energies conspired to move me along. On the way out I had a choice. I could focus on the fact that my contract ended prematurely. I could dwell on the uncertainty I will face. I could worry about my finances. Or I can choose a gracious exit. I can reflect on all the benefits my employer provided me. I can focus on the-new found time I have to move forward with other ideas and plans. Lack of time is no longer an excuse to not write that book, prepare that seminar, plan that workshop. I can take a vacation this summer and not think about work. Those new doors are just waiting for me to knock. Thank you to all who were part of my ride for three years. This entry was posted in Blog and tagged bridges, end contract, former employer, grateful, new opportunities by Shelley Goldbeck. Bookmark the permalink. I wish i could give you a big hug before you left! As you said, this is just the start for a new carreer. I wish you all the best in your future. Good luck Shelley! I’m sure you are going to capitalize on the many opportunities out there for you. I look forward to seeing what the next chapter in your own personal story is all about! Your future is looking exceedingly bright and shiny!! My friend Shelley is a speaker and makes a wonderful living talking to and helping her fellow human beings. Wishing you all the best in all things that will now enter your world! Look out world … here comes Shelley! What a beautiful ending to this chapter mama bear and a start to a great new one. 🙂 I really enjoyed reading this perspective.